Early last week, we wrote about how fish oil suppliers used larger pills to pass-off cheaper, less pure, and less effective supplements. Today we’ll discuss protein powders and a trend called “protein spiking”. We’ll be referencing data from our tests on 82 best-selling US protein products. You can access our quality rankings and full reports of individual products here. In movies about drug dealers, there’s usually a scene where a bad guy cuts the drugs with some cheap powder to boost his profits. Then someone figures it out, and things go downhill from there. Well, we’ve found the same thing happening for protein supplements too. We found that plenty of protein powders aren’t as effective as they claim to be. 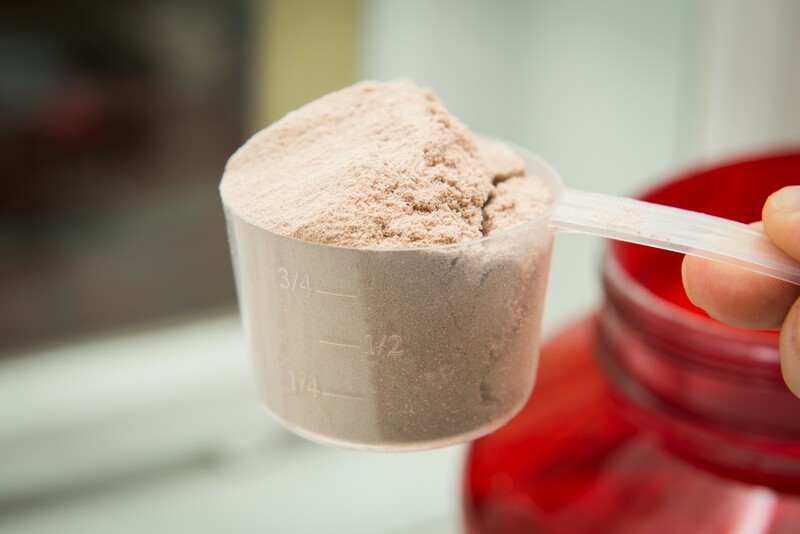 Sometimes, actual protein in those powders can be less than half of what the packaging promises. The practice is bad enough that it’s resulted in class-action lawsuits. Last year, even a big brand endorsed by Arnold Schwarzenegger was sued for using deceptive labelling. Here are the details: Since 1883, the Kjeldahl method has been the international standard laboratory technique for measuring proteins in foods. Basically, a food sample is digested with a strong acid that releases nitrogen gas, which is then measured to estimate that sample’s total protein. Interestingly, any other sources of nitrogen gas in the sample can bump up that final nitrogen measurement and increase the protein estimate, including free amino acids. So, when we’re testing proteins at Labdoor, instead of using Kjeldahl, we use HPLC (high performance liquid chromatography). With HPLC, you can separating whole proteins from aminos under high pressure and then measure each of those component individually. As a result, we were able to see how some protein products could have as much as 64% of their claimed whole protein substituted with free amino acids. Going back to Kjeldahl, you might wonder why manufacturers would want to fool a lab test, when supplements are barely regulated anyway. We’ve found that protein powder consumers are a very specific demographic. Many of them are professional athletes and bodybuilding enthusiasts, who are serious about finding products that will produce results, and equally serious about avoiding banned substances that could get them in trouble. So for protein powders, there’s a decent chance the product could get tested by a third-party lab. The dishonest protein companies are hoping that if they do get tested, we won’t be looking too closely. In our next article, we’ll talk about a practice that’s dangerous, definitely illegal, and also of concern to athletes — unreported stimulants hidden in our workout and diet supplements. If you learned something from this story, please click the ❤ below. Comment if you’ve got any questions, and follow us at Labdoor for updates!